Happy New Year mi friend!!!!!!!!!!!!!!! I wish for you that next year will be as creative as this. you are in a very good time as an artist! Have a wonderful New Year! and I look forward to many visits in 2013 :)!! Happy New Year, Renilde. I look forward to seeing many more of your works of art in 2013! Yay Renilde! 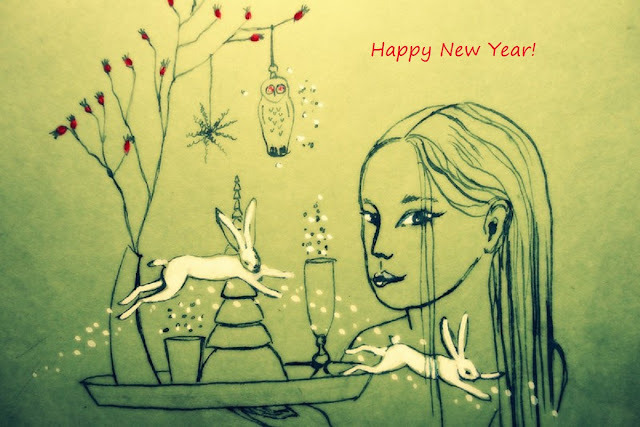 Beautiful art..Wishing you a very magical 2013 full of Blessings, light and love and creative bliss!! Thankyou for all the wonderful art and magic and wisdom you share..I look forward to more of your enchanting world!! a wonderful, delightful, light and colourful 2013 to you!